Beloved wife of the late Francis P. Quirk, USN Ret. Daughter of the late Thomas and Muriel (Justason) Forbes Newcomb, born in Waltham, grew up and attended school in Newton (Class of 1947). Dottie retired as ward secretary from the Fernald State School. In her younger years she was a waitress at the Melody Lounge and City Hall Grill in Waltham. She was a member of the Ladies Auxiliary Fleet Reserve since 1981. As a member of the Billerica Elk’s Emblem Club #401 she held positions of Marshall, Assistant Marshall, 2 term Trustee and Assistant Trustee. She also volunteered for Pop Warner Bingo for 29 years. Dottie enjoyed time with her family, especially July 4th and Thanksgiving with all of the family together. She loved her friends, BINGO, trips to Foxwoods and Las Vegas, reading, and game shows. She was a devoted lifelong fan of the Red Sox, New England Patriots and golf. Always a positive outlook and gracious loving heart, she touched many lives with her kindness, generosity, sense of humor and lively spirit. Known for always remembering birthdays and anniversaries, a card would arrive in the mailbox on the exact date year after year! 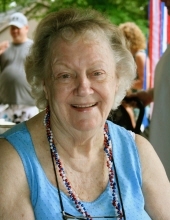 She is survived by her children: Mimi White and husband Jean-Robert Champagne of Camp Verde, AZ; Denise and husband William Wing of Dudley; Joseph & wife Susanne of Jupiter, FL; Robert and wife Beverly of Hudson; Maureen Craig of Billerica: and youngest daughter Mary and husband Frank Kirkland of Salem, NH, her caretakers with whom she lived. Beloved “Nana” and “Great” grandmother to 15 grandchildren, 20 great-grandchildren and 2 great-great grandchildren. She was “GG” (Gorgeous Great) to her youngest great-grandson Theo who lived with her. A special thank you to N.P., Mara Wermuth, Hanscom AFB for the years of care and concern she has shown to Dottie, and to Patty Lavertue for keeping her connected and in touch with friends during her long illness. Also, thank you to Amedisys Hospice for their compassionate care in this difficult time. Dottie is also survived by her sisters: Nancy and husband Paul Popsuj, Karyn Connelly and by many nieces and nephews. In addition to her parents and husband, she was predeceased by her sister Lois Burke and brothers Kenneth, Robert and Ralph Forbes. Quirk – Dorothy A. (Forbes) Quirk – Visiting hours will be held Sunday at the SWEENEY MEMORIAL FUNERAL HOME, 66 Concord Rd., Billerica from 1-4 p.m. Funeral arrangements will be private and held at the convenience of the family. Memorial contributions in Dottie’s memory can be made to the Billerica Emblem Scholarship Fund #410, P.O. Box 531, Billerica, MA 01821-0568. "Email Address" would like to share the life celebration of Dorothy A. Quirk. Click on the "link" to go to share a favorite memory or leave a condolence message for the family.